In any team, transparency of the process and speed of decision making are important. Plant, as a versioning system for design, allows not only the flexibility to manage the history of design development, but also to be a complete source of truth for managers. 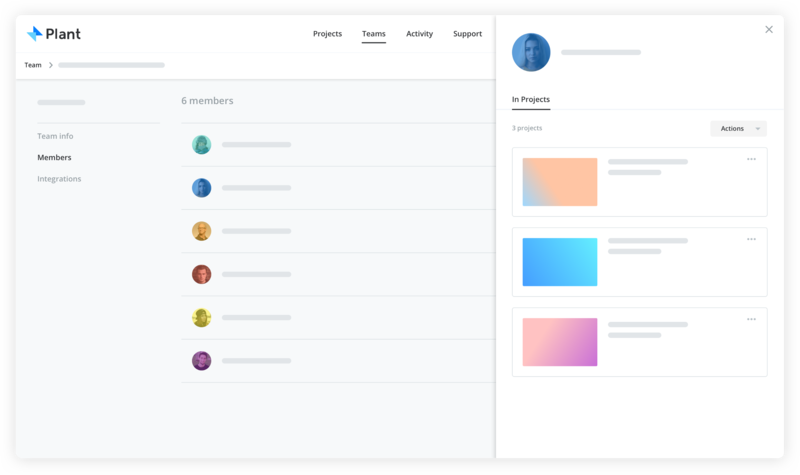 This new update is a big step forward for managing users and fine-tuning the interaction between team members. 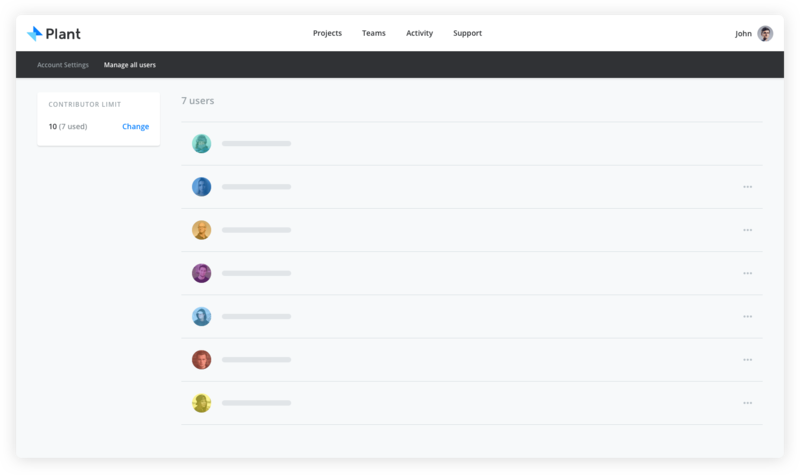 In every account we have added a section to manage all users, which shows data about users and their relationship to projects. 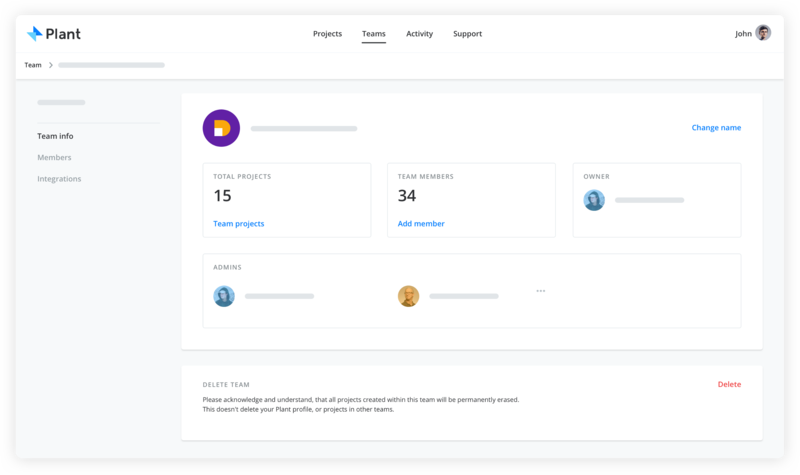 Team member details and flexibility. Now you can easily view which projects belong to any specific user instead of going through all projects and looking for users. 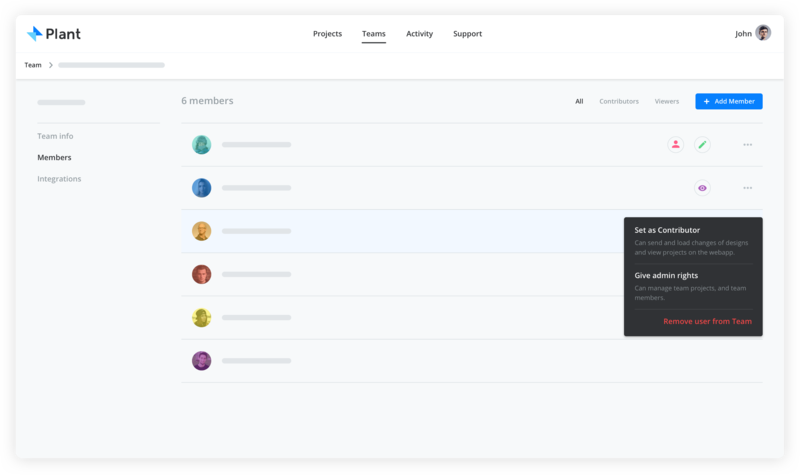 Just click on a member and flyout page for the desired user will display all projects they belong to and with ability to configure access to any necessary project. Now you can set account owner as a viewer so they don’t use a contributor seat. Get in touch! Tweet or email us.